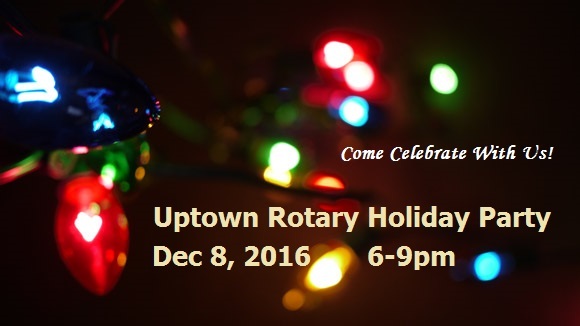 Save the Date for Uptown Rotary's Holiday Party! Cost: $20 includes appetizers, wine, and holiday cheer. Child entry is complimentary. Contact: Liam Dunfey at 619-239-6900 or ldunfey@stpaulseniors.org. Please share this invitation with friends and family. We can't wait to celebrate the joys of the season with you. Happy Thanksgiving - we are dark on Nov 24, 2016.